Tue to Sat 10am-6pm, Sun 11am-5pm, Monday Closed, except bank holidays. Last entry 45 mins before closing. From Cornflakes to Ker-plunk, Spacedust to Spacehoppers, take a nostalgic tour through 200 years of British consumerism with Robert Opie's unique creation. Enter the Museum of Brands, Packaging and Advertising and you enter a time tunnel transporting you from the Victorian era to modern marketing, stopping off to examine the Edwardian craze for ping-pong, the beginnings of radio and television, two World Wars and the Swinging 60s. Socially significant, historically telling and, ultimately, visually stunning this collection of consumerism is unique in both content and quantity - with over 500,000 items in total amassed by Opie it's the largest of its type in the world. Many of the everyday objects on display here are only too easy to remember, transporting you instantly back in time (Schweppes, Bird's Dream Topping, Brasso), with others it's hard to believe they ever existed at all (Lazenby's Jelly Crystals, bile beans and Franklyn's Superfine Shag). This is the kind of place that can't be experienced in silence. Every object tells its own story whilst at the same time evoking a host of personal reminiscences on the part of every visitor. Opie's passion for consumerism, reflected through packaging design, brand development, poster and TV advertising is evident in every one of the museum's beautifully presented exhibits. This place is a gem. posters and packaging, brand design, consumerism, Swan Vestas and Spangles. What are the best dining options near Museum of Brands, Packaging and Advertising London? Museum of Brands, Packaging and Advertising gyms, sporting activities, health & beauty and fitness. The best pubs near London Museum of Brands, Packaging and Advertising. Museum of Brands, Packaging and Advertising clubs, bars, cabaret nights, casinos and interesting nightlife. 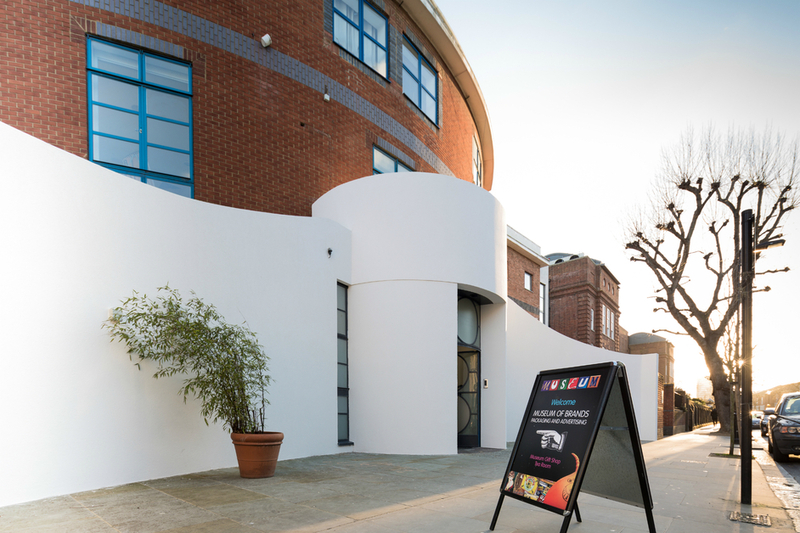 Where to have your meeting, conference, exhibition, private dining or training course near Museum of Brands, Packaging and Advertising. From cheap budget accommodation to luxury 5 star hotels see our discounts for Museum of Brands, Packaging and Advertising hotels, including Hilton London Kensington Hotel from 87% off.